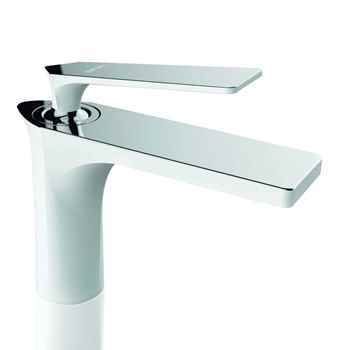 Have questions about this product (ID: 2291)? 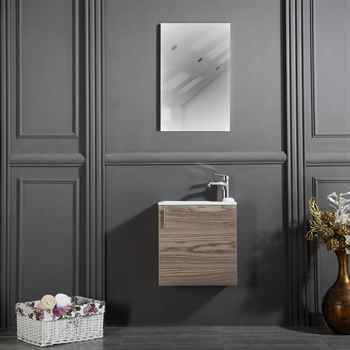 Chicago 18” Gray Oak Bathroom Cabinet is a wall mount vanity constructed with a high quality MDF. 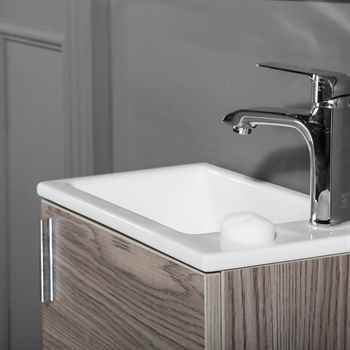 It comes with an integrated white porcelain sink, offers the minimalism with a beauty, perfect choice for your small bathrooms. 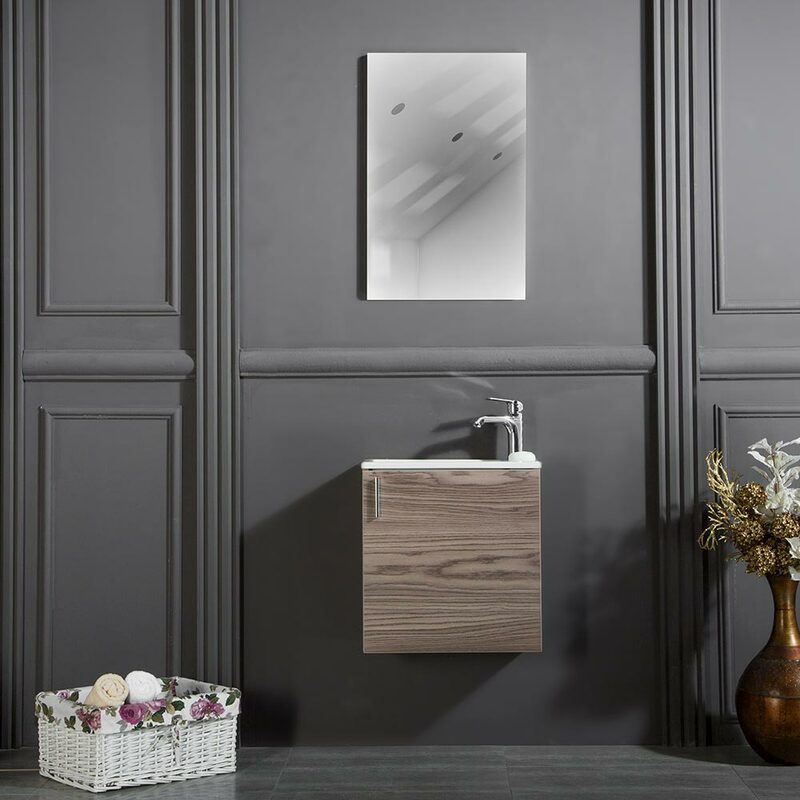 It features a single door comes with soft closing hinges, with chrome bar handle, spray painted silk mat gray oak color and a single faucet hole. 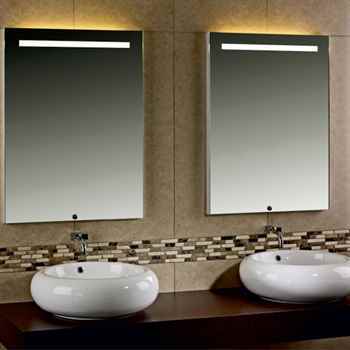 Chicago mini bathroom vanity has more than what you need for your small bathrooms. 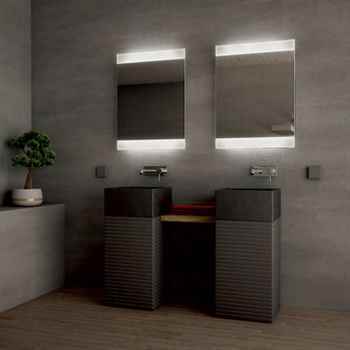 Chicago 18” Gray Oak Bathroom Cabinet is a wall hung modern vanity is a sleek and stylish 18” wide bathroom vanity constructed with high quality MDF. 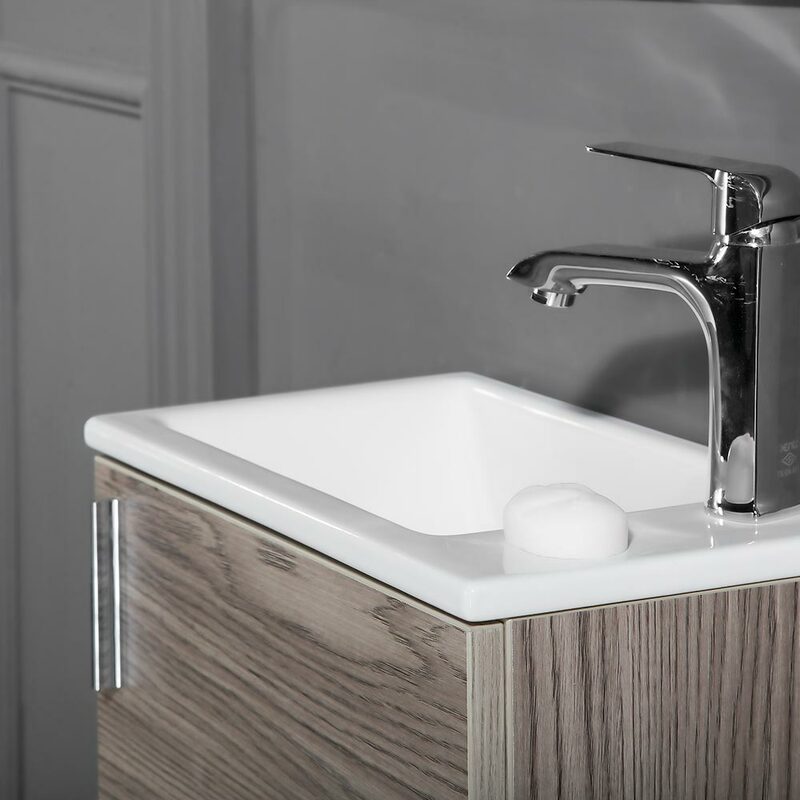 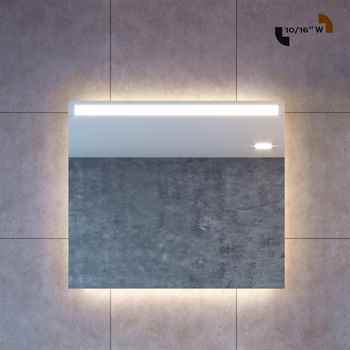 It comes with an integrated white porcelain sink, offers the minimalism with a beauty, perfect choice for your small bathrooms and powder rooms. 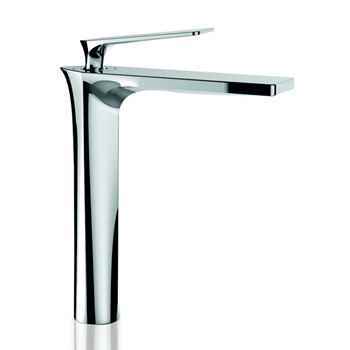 It features a single door comes with soft closing feature, with chrome bar handle. 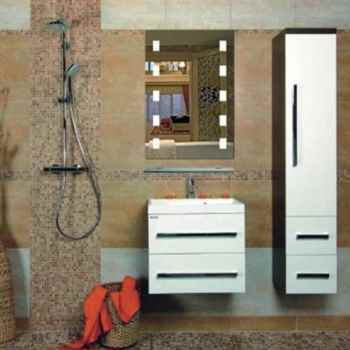 It offers a storage for your daily bathroom essentials. 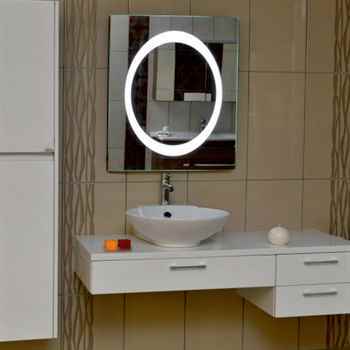 This small but functional vanity is spray painted silk mat gray oak color and integrated porcelain sink comes with single faucet hole. 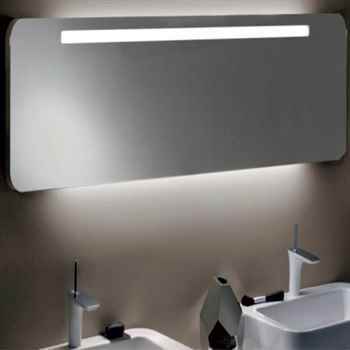 Chicago mini bathroom vanity has more than what you need for your small bathrooms.